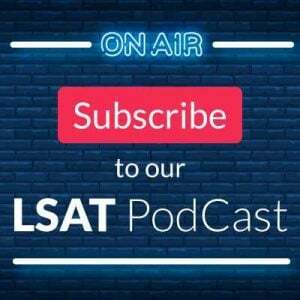 You are here: Home / LSAT Prep / Should you take the January LSAT? The short answer is: Yes, you probably should. True, there are some disadvantages. First, it’s administered in the dead of winter and it’s nondisclosed, meaning the test content is not made available after the fact. But consider this: the January test may be your best—and last—chance to get the score you need and still apply for admission in the Fall. 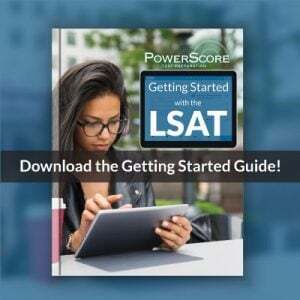 Virtually every law school will accept scores from this test as you’ll see in our survey of the top 100 law school LSAT deadlines. And if you’re planning to start in the fall the following year? You’ll be well ahead of the game and can have your applications ready for submission as soon as schools begin accepting them next fall. You’ll also have plenty of time for a retake if you need, or feel you can attain, a few more points! Admittedly, this may sound like somewhat self-serving advice: we’d certainly love to have you work with us, whether you take one of our Winter Full Length or Live Online LSAT classes (starting mid-December! ), sign up for a tutoring package, or spend a few months using our On Demand LSAT Course. Nevertheless, even if you don’t spend another dime on prep, you should consider the January test to be a viable retake option if you believe there is any room for improvement. It goes without saying that getting into law school is incredibly competitive, which means that you need the highest possible score you can get on the LSAT. The good news though is that it’s not as competitive as it used to be. Admissions officers dig deeper into the applicant pool than they used to, and some schools postpone extending offers of admission to all but the most qualified applicants until they have a better idea of who is actually applying. Of course, not all schools have the same admissions policy: some still encourage you to take the test earlier (Stanford, Michigan, and Cornell come to mind with their November LSAT deadline). However, even if a January score puts you at a slight disadvantage relative to those who applied earlier, you can easily make up for it by increasing your LSAT score. Even a two or three point bump can be the difference between a “yes” and a “no”! One more thing to think about: if you’re still in college, the January test is perfectly timed for Winter break. Unlike the June or the November administrations, which tend to coincide with the end-of-semester finals at many colleges and universities, a January test is unlikely to compete for your attention with schoolwork. And, if you do end up taking a prep course, you will be thrilled with the size of your class. (It will probably feel like group tutoring, at a fraction of the cost!). Need assistance in the form of a live class (taken from the comfort of home)? 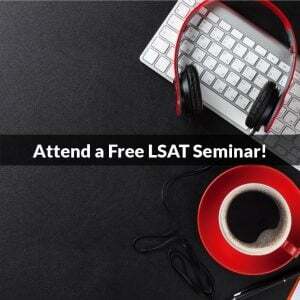 We still have a few Live Online LSAT Courses to choose from. Enroll now because they all start within the next few weeks!